In a saute pan, melt butter and saute garlic and bacon. 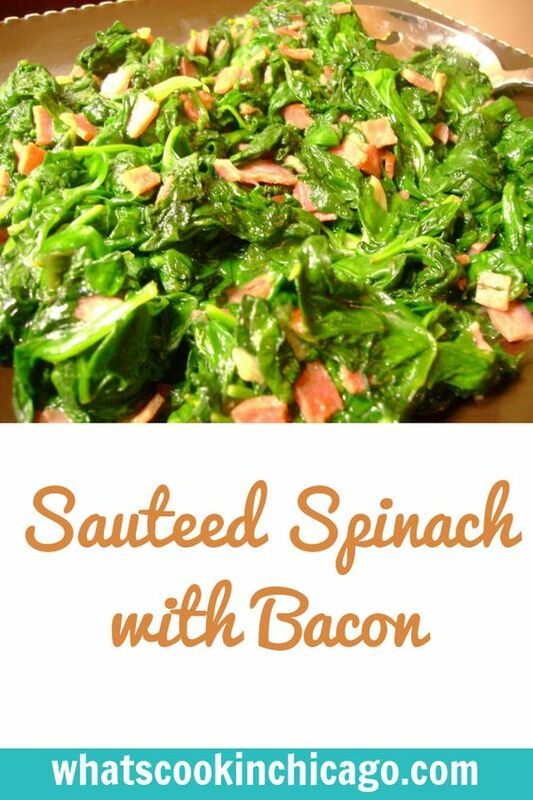 When bacon is crisp, add chicken broth and spinach; toss until it wilts. Nice combo of ingredients... how could you go wrong? Yum!